November is Native American heritage month. To celebrate, we’re heading west, the weird west, every Wednesday. Weird Western Wednesdays are devoted to the wonderful and often wild sub-genre of speculative fiction, weird westerns. Guest authors will contribute a posts discussing weird westerns. 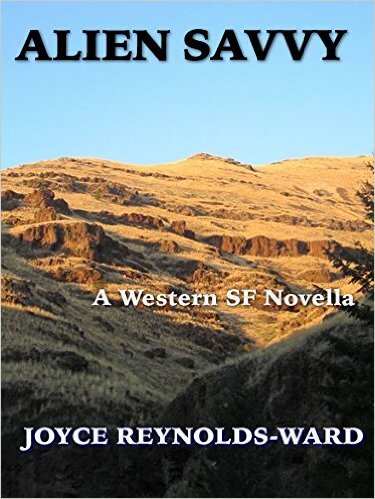 Welcome Joyce Reynolds-Ward to Pulp Reports. 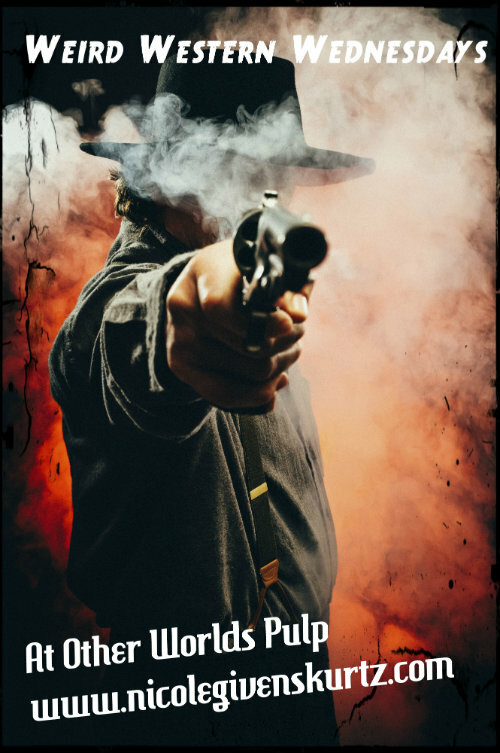 Why do I write Weird Western? As a fifth-generation descendant of Oregon pioneers, I’ve always had a personal affinity for the Western story in general because it resonates with my family history of working class emigrant farmers struggling to find a place to call their own. I also like speculative fiction in all its manifestations. When I find a mix of the two genres done well, it makes my day as a reader. I’ve spent years researching and writing stories that could fall within the Weird West tradition. And yet. I’m not satisfied as both a reader and a writer. I don’t think Weird West has extended its reach as far as it could go. The Western source material is rich with themes of resource exploitation, Manifest Destiny, economic class struggles, culture clashes, colonialism, genocide to be developed by a mindful writer seeking inspiration rather than appropriation. More than that, a good Western, both in the pulp and literary tradition, has the environment as a strong secondary character. The combination of environment and these political elements are a good match for exploring within the wide ranges of speculative fiction and I think a lot more can be done with it. luck—and how things could have been different provides a lot of fodder for story material. Add in a piece of regional history about how some Highland Scots displaced by the Clearances found common cause with Native American tribes in Montana, and that’s more story material. At times the sheer volume of possibilities is both exciting and overwhelming. There’s certainly a lot to consider above and beyond the traditional tropes of gunslingers, cowboys, Indians, and cattle drives. But because the material is so near and dear to my heart, sometimes it’s hard to write because of the demands of “just one more thing to research.” When I wrote “Damned If You Do, Damned If You Don’t” for Gears and Levers 1, I was exploring an idea I’d gotten from a short paragraph in one Oregon history about how Dr. John McLoughlin of the Hudson’s Bay Company had approached the early American settlers about forming a country separate from both Great Britain and the United States. And well, there were zombies and unicorns involved along with a wee bit of magic. Why not? Another concept I’ve been developing is the use of a Western environment for a high fantasy novel that is coming out in December. Pledges of Honor starts from the above-mentioned history of how Highland Scots and Native American tribes came together as a foundation for a setting resembling the interior Pacific Northwest rather than the traditional medieval European location. The peoples in this world are inspired by but not derivative of Native cultures. Some people live in lodges; some groups stay in one place while others wander their territory in a seasonal pattern. My colonials are exiled nobility who flipped off the mainland and collaborated with the native residents in the face of a magical plague to form coalition governments prepared to resist the inevitable invasion from the Empire. That’s been several generations back, and the various groups have formed their own clans as a result. Those aren’t my only projects. I’m developing several other stories and worlds looking at the themes of colonization and collaboration set in an alternate West. The possibilities are wide open. I think mindful, sensitive and thoughtful explorations of Western themes and history in speculative fiction can add many good tales to the genre, and I’m looking forward to reading and writing many more of them. Want to keep track of what I’m doing with these themes? Follow me on Facebook, at my website at http://www.joycereynoldsward.com, or at my LiveJournal, where I post as joycemocha. I also send out an irregular newsletter two or three times a year and you can contact me at jrw@aracnet.com if you want to participate. Meanwhile, there’s stories out there in them thar woods. Enjoy!